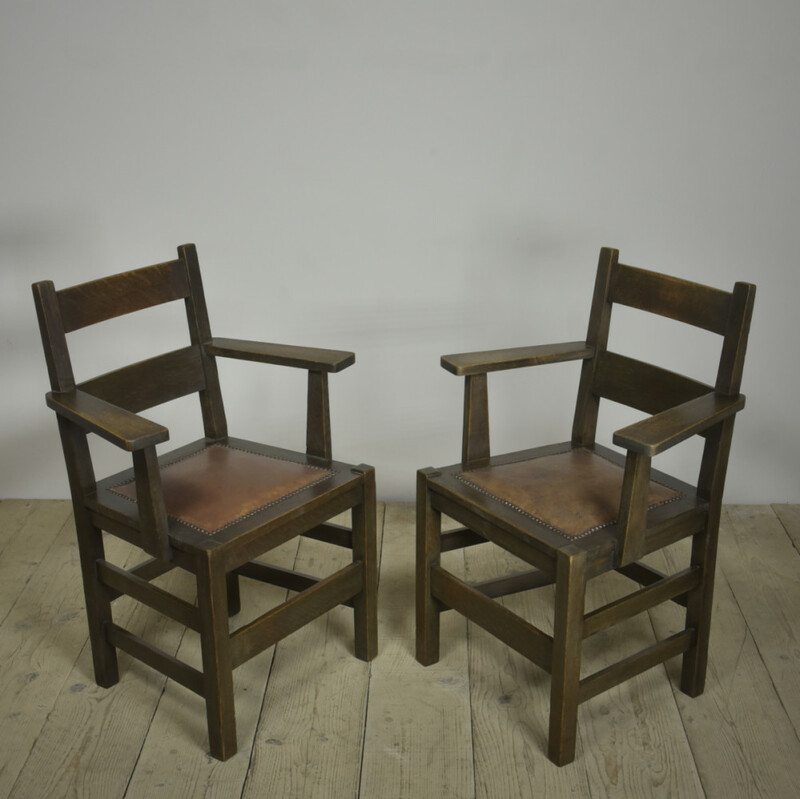 A pair of antique Mission style armchairs by R. J. Horner & Co., New York. c1900. 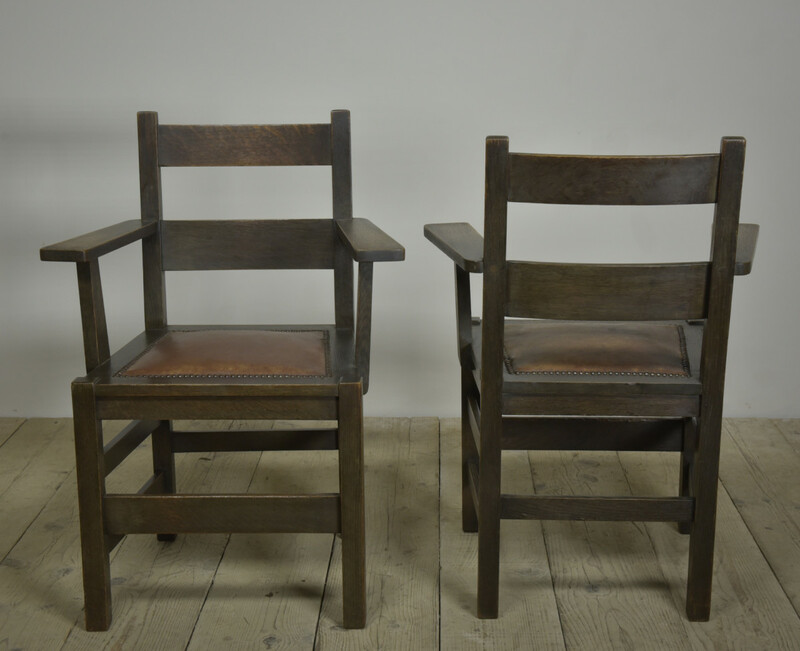 Made of quality oak (mortice and tenon construction) in original stained finish with cushioned leather seats. In fine sturdy condition. 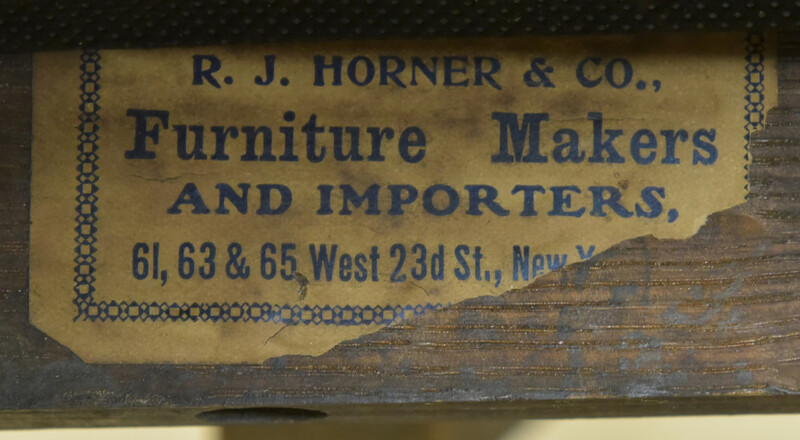 Label to one of the chairs reads; " R.J.HORNER & CO., Furniture Makers AND IMPORTERS, 61, 63, & 65 West 23rd St., New York." 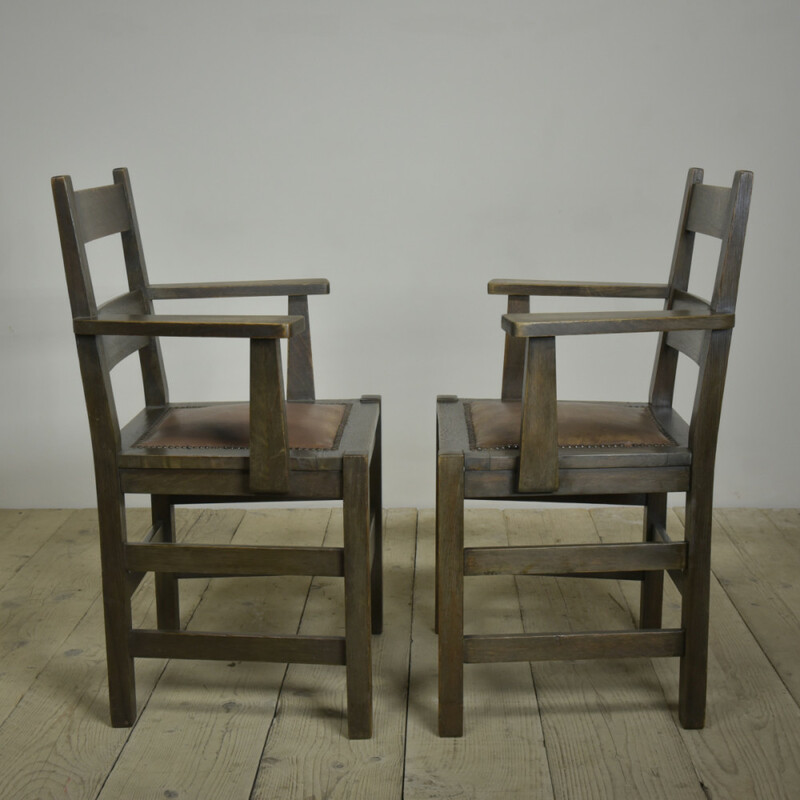 Dimensions in inches/cms; Seat height is 19"/48.5cm(max) and max height of chair is 35"/89cms. Max. 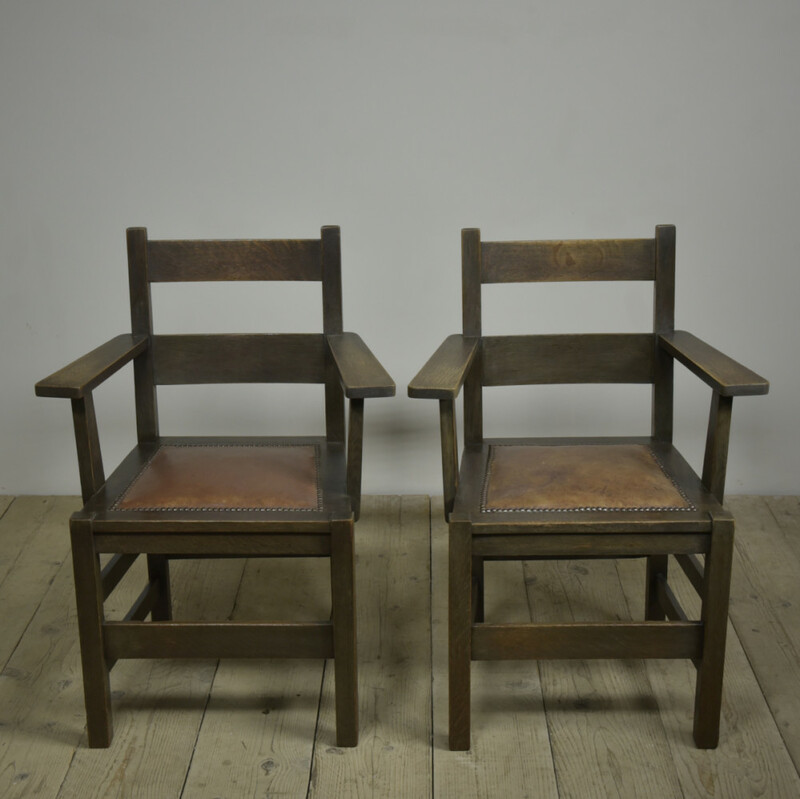 width ( at arms) 25.5"/65cms. 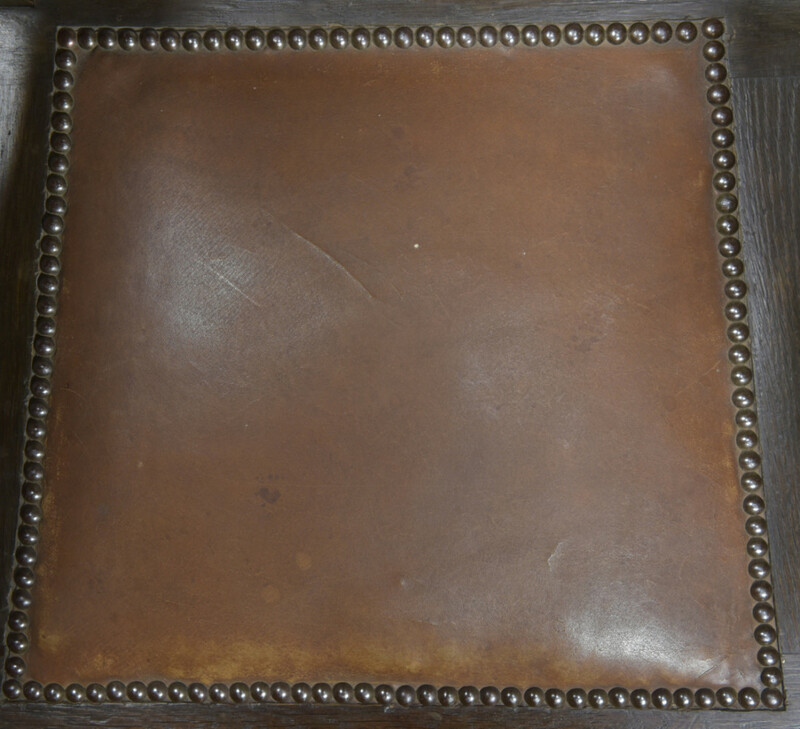 Max depth of chair is 18"/45cm. For more and higher res images please see my blog which can be accessed through the news section of this (haes) website.